Icon theme was changed to some other icon theme. Some fonts are different like In Google chrome, fonts like "Hardware Insights Juju..." aren't supposed to be that thin. Also in the indicators' menus; you see it's not even readable and the icon for the language (that looks like this --> [EN] ) is missing. Double click to maximize doesn't work any more. It glitches in a weird way. Also there's a bug when switching workspaces but it's hard for me to explain. Grub has a black background now. after grub, there should appear "Ubuntu" with 5 dots below it. Instead appears "Kubuntu" flashing. What I want: A clean Unity desktop. A brand new one. And I want grub back to its old look. I tried to reinstall unity but it doesn't work. It only uninstalls a few megabytes leaving behind loads of dependencies which really matter and nothing gets fixed. I like kde as long as it doesn't mess things up. Can someone please tell me how to reinstall it or at least any workaround to all those problems though I really really don't prefer this. My version was 14.04 and that command works perfectly for me. It removed some software I installed on ubuntu before the installation of KDE but I wouldn't mind reinstall these software since now I have a pure(at least as far as what I see) ubuntu to work on. I didn't bother to find out which of these kde had infected. After a logout/login cycle, most of my unity functions are back, can I can be productive again. The GUI widgets in most applications look kde-ish, but at least now the system fonts make sense again. I can't tell if this is a qt or gtk configuration issue. None of this fixed my problem that I could not change the desktop image, even after trying with shotwell, gsettings, the unity settings panel... What eventually solved that part was turning on "icons on desktop" in the gnome tweak tool. It doesn't matter that I have all the icons turned off, "icons on desktop" has to be enabled, or nothing will change the desktop image. System config theme setted again to Ambiance, improved some things. Resetting unity: unity-tweak-tool --reset-unity (No visible change). Edit the file located at: $HOME/.config/gtk-3.0/settings.ini (this was the final solution). Finally login into Unity again and the problem was solved. The best part is that the change is persistent, so Unity and KDE keeps their respectives styles. Not the answer you're looking for? Browse other questions tagged unity kubuntu or ask your own question. 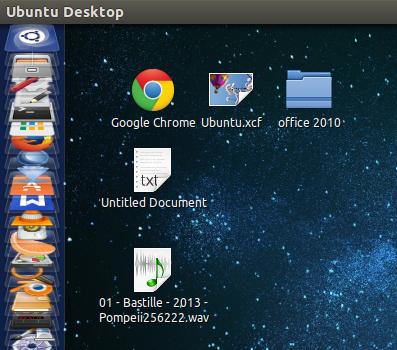 How to configure Kubuntu fonts to look line ones used in Unity - Ubuntu 12.04?